Colombia is a relatively unknown tourist destination, compared to many parts of the world. While the government and tourism industry are working hard to change this, there are many areas of the country that are still very isolated and undiscovered. People around the world know Colombia’s main cities – Bogotá, Medellín, Cali, Cartagena and Santa Marta – but the country is much more than this. In this, the second most biodiverse country in the world, there are over 59 National Parks, each offering unique and wonderful ecosystems, wildlife and activities. Here are the 13 most underrated places in Colombia. Colombia’s Pacific region is relatively unexplored: the area’s thick jungle means many locations in the region can be accessed only by boat or dirt track. Nuquí is a small community town in the region with a population of just 7,500 people. Many of these communities are inhabited by Afro-Colombian communities whose ancestors arrived in the region centuries ago, to escape their owners or employers in the bigger cities. The remoteness of this area makes it the perfect location from which to explore the jungle environment and discover the large numbers of wildlife species, especially birds, which inhabit the area. 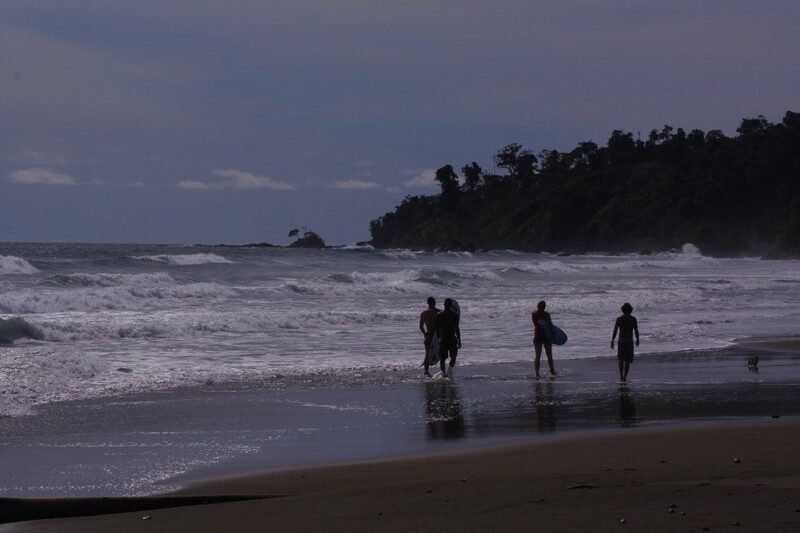 Colombia’s Pacific coastline is also home to numerous coral reefs. Every year, turtles and humpback whales give birth to their young in the region and raise them here until the young are strong enough to move on. Guasca is a small village located around an hour outside Colombia’s capital Bogotá; its proximity to the city makes it a great weekend destination. The remote village is a typical Colombian countryside town, with a plaza and cathedral located in the centre. Guasca is surrounded by beautiful countryside and mountains, ideal for walking, hiking or horse riding. Located just outside the town and high up into the mountains is the start of the Chingaza National Park. This unique park is home to a large páramo ecosystem, which allows water to be absorbed from the sky to the mountain. This makes for a great place to breath in some fresh mountain air and take in the surrounding area. 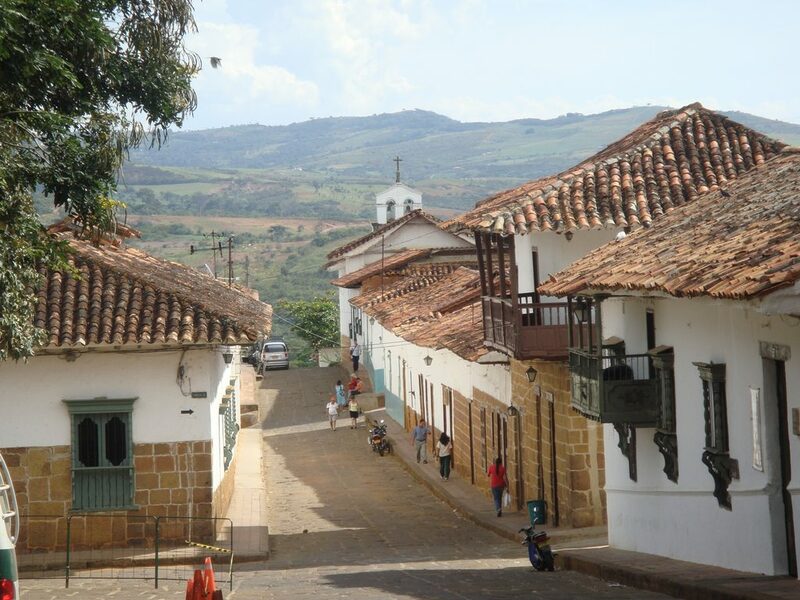 Barichara is a historic colonial town located in Colombia’s Santander region. The town boasts colonial whitewashed buildings with orange roofs and cobbled streets. The picturesque town is small and is so perfectly preserved that it resembles a Hollywood set. Barichara has a number of small restaurants serving home cooking, boutique stores selling handcrafted objects, and a lookout to beat any other. From the lookout you can see for miles, up and down the spectacular hills and far into the distance. Barichara is located close to another town called San Gil, otherwise known as Colombia’s adventure sports capital. In this town visitors can go whitewater rafting, bungee jumping, climbing, abseiling, trekking, and zip lining, as well as participating in a host of other sports. Prado is a small town located in Colombia’s Tolima region, around five hours south of Bogotá. Prado is located at a low altitude, in the country’s flat plains, providing a year-round temperature of around 30°C. Located just outside the village of Prado is a large extensive dam with a well-connected river system, making it a great place for undertaking watersports. The dam is surrounded by mountains ideal for hiking or climbing up to admire the picturesque dam views. The dam has a large number of hidden locations, waterfalls and picturesque places just waiting to be discovered. The Amazon rainforest covers 35% of Colombia, an area in the south of the country on the Colombian, Brazilian and Peruvian border. A large amount of the Amazon rainforest in all three countries is still yet to be explored. Leticia is the largest city in the Colombian Amazonas region, and is relatively established, with a number of hotels, restaurants and unique tourist experiences. 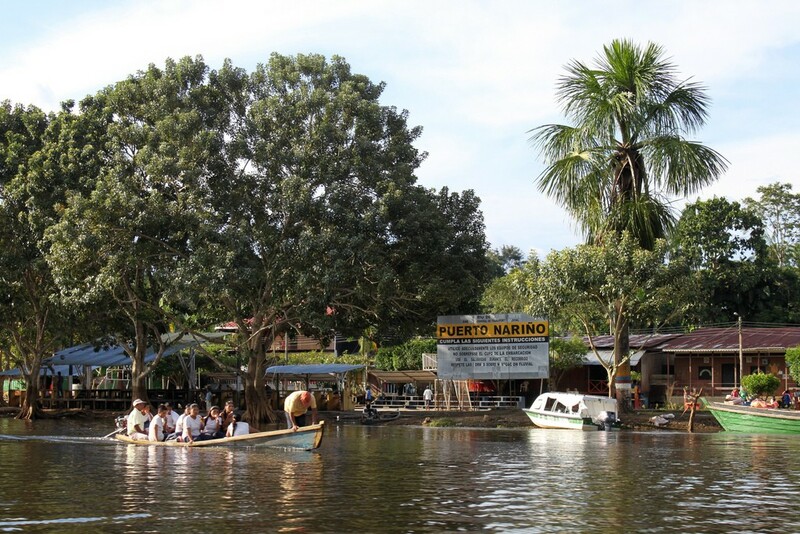 From Leticia, visitors can take boat trips to a number of indigenous Colombian communities, monkey islands and unique villages. This unique environment allows visitors to learn about the ecosystem, the wildlife, the conservation and the communities that inhabit this unique area of the world. The Los Nevados National Natural Park is located in the central Andes coffee region, covering an area of 58,000 hectares (580 square km) over the departments of Caldas, Quindio, Risaralda and Tolima. The National Park is located in an area of high volcanic activity: there are eight volcanos in the area, including the largest, Nevada del Ruiz, a 17,400 foot (5,300 meter) active volcano. The park is made up of a variety of ecosystems, including the area surrounding the volcanos, páramos and large endless valleys. The most famous area of this National Park is the Valle de Cocora, a large valley in the park that is home to Colombia’s national tree, the gigantic wax palm. This area is popular with visitors who visit the region to learn about its coffee production or to go hiking or horse riding through the valleys. The Serrania de la Macarena National Natural Park is located in the Meta department in Colombia. This National Park is located at the point where three ecosystems join together, which makes for a unique environment. This area is the meeting point of the Amazon rainforest ecosystem, the Andes mountain range and the East Plains of Los Llanos, making this area one of the most biodiverse in the country. The dry shrub lands, dry forest and rainforest join together to create the perfect living conditions for over 2,000 unique species of fauna and flora in one area. Over 550 species of birds, 100 reptiles, 1,200 insects and a large variety of mammals inhabit this 2,400-square-mile (6,200-square-km) area. 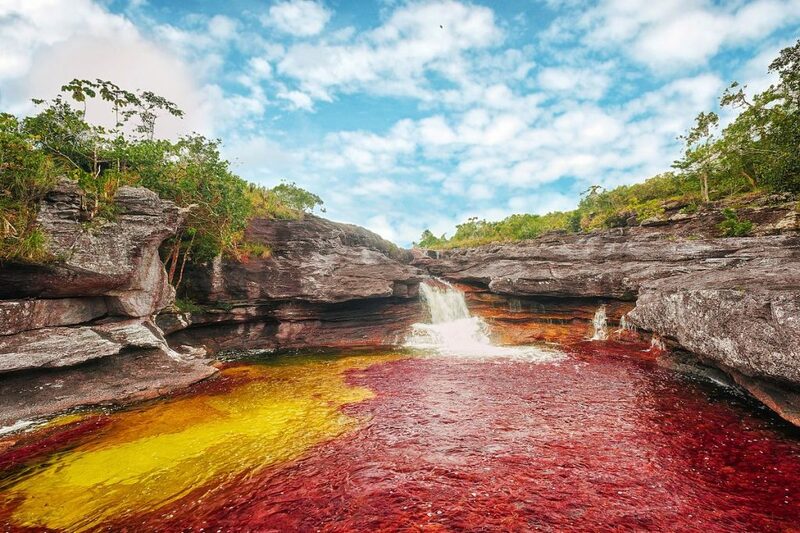 The most popular attractions here are the Caño Cristales (a beautiful coloured river) and ancient petroglyphs. The Chiribiquete National Park is the largest National Park in Colombia, covering an area of 10,000 square miles (27,000 square km). This area is protected so that its ecosystem and ancient rock art can be protected and preserved. Over 600,000 traces of rock art have been found in the area, along with 20,000 petroglyphs and pictographs on the mountains, which have taught visitors to the area about the communities that once called the area home. The National Park is the only place in the world where the Chiribiquete emerald hummingbird can be found, along with a large variety of other wildlife. The Sierra Nevada del Cocuy National Natural Park is in the Andes region of Colombia. The National Park has a large number of snowcapped mountains, the highest being the Ritacuba Blanco at 17,060 feet (5,200 meters). This park is an ideal place for hiking and walking and is a National Heritage site for indigenous communities. The area is still home to the indigenous tribe of the U’wa (Tunebos) who predominately live off farming, hunting and fishing in the area. Jardin in a small town in Antioquia, around three hours south of the city of Medellín. This 140-year-old colonial city has whitewashed buildings with brightly coloured doors, windows and balconies. From the town you can take a cable car to a viewing spot where visitors can enjoy the surrounding mountains and picturesque scenery. The towns surrounding the area are great hiking or trekking locations; an hour and a half’s walk outside of the town takes visitors to La Cueva del Esplendor (‘the cave of enchantment’). This unique phenomenon is a cave underneath a river, with a large hole in its roof that allows the water to run through, creating a unique waterfall. 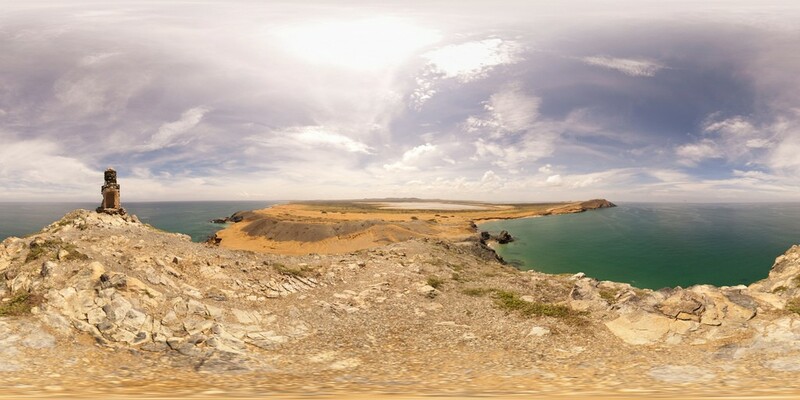 La Guajira is an National Park at the northernmost point of Colombia and South America, on the Colombian–Venezuelan border. The area’s ecosystem is a harsh, sandy desert environment, where the bright orange sand contrasts the turquoise Caribbean Sea. The National Park is home to the indigenous community of the Wayuu tribe, a centuries-old indigenous group who have adapted to living in the harsh environment of the desert. Today, the area is an ideal place for visitors to learn about the group, as well as undertaking activities such as sand boarding, surfing and kitesurfing. Gorgona Island is in the Cauca department of the country and is located in the Pacific Ocean around 22 miles (35 kilometres) off the coast. The island is around 5.6 miles (9 kilometres) long and 1.6 miles (2.5 kilometres) wide. The area is a Colombian National Park, rich in endemic species, with a unique ecosystem, a variety of wildlife, a subtropical forest and a coral reef system. The island was a Penal Colony Jail until 1984, and the jail still stands today, albeit covered in vegetation. The island has no population, but visitors can stay in its one ecolodge. Suesca is around an hour and a half’s drive north of Bogotá, and is often referred to as the rock climbing capital of Colombia, or the birthplace of rock climbing in the country. 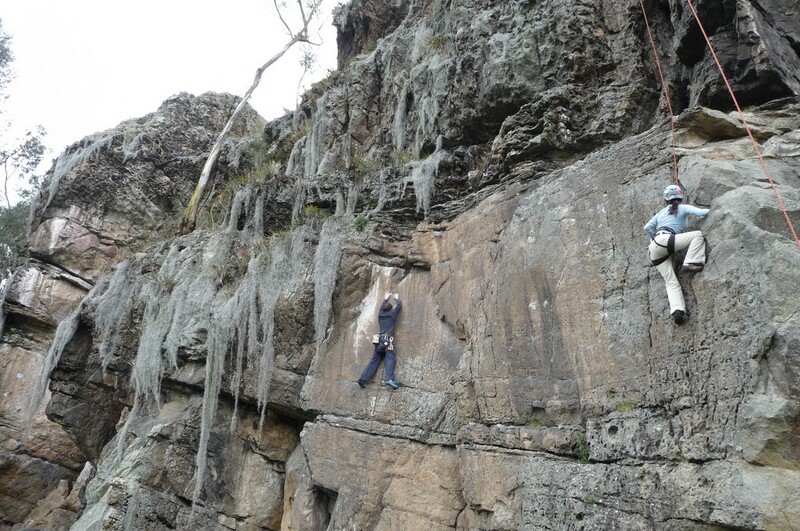 The rocks and cliffs in the area are the perfect destination for rock climbers from beginner to advanced levels. The natural cliffs provide over 400 routes varying in difficulty. This area is also great for mountain biking and hiking.